Located in Thailand’s mountainous northern region, Chiang Mai is Thailand’s second city. With streets that reflect Thailand’s mix of traditional past and trend-oriented youth, the city is an enticing antidote to the busy streets of Bangkok. Built in the lush valley of the Ping River, Chiang Mai’s mix of modern mindset and old architecture is a lure for backpackers, digital nomads, and adventurous holidaymakers. Founded in 1296 as the capital of the ancient Lanna Kingdom, at Chiang Mai’s center is the Old City with its historic crumbling city walls and moat. Complete with tree-lined avenues and easily walkable streets, the city is easily traversable on foot – or in the back of a tuk-tuk. 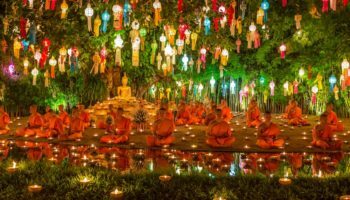 Local neighborhoods are alive with amazing food and nighttime entertainment, and the numerous night markets are a fun way to try out various Thai delicacies for a small amount of cash. Take a stroll along any of the city’s charming and quiet lanes and you’ll be sure to come across one of the many temples that dot the city. Accommodation around the various neighborhoods is plentiful and usually high quality. From budget dorm beds to mid-range trendy boutique hotels, as well as high-end rooms that offer all the trimmings, there’s a lot of choices. 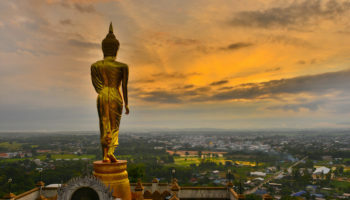 Chiang Mai is an exciting glimpse into the wonders of Thailand’s future, with all the respect and intrigue of its past. Packed full of many of Chiang Mai’s historical sights, as well as a load of bars, cafes, and restaurants, the Old City is the place to go in Chiang Mai for culture, buzz, charming and leafy sois (backstreets), and a whole lot of good food. It’s easy to spot this part of Chiang Mai on a map; it’s a clear-cut square defined by ancient walls – some of which still stand – as well as a moat. These walls date from 1296, when Chiang Mai was founded as the new capital of the Lanna Kingdom (Chiang Mai means ‘New City’). Today, the historical importance of this city can be known through exploring the bustling old town. 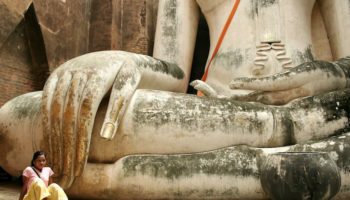 Buddhist temples – or wats – dot this part of the town; these include Wat Phra Singh with its murals, the less visited and tranquil Wat Jet Yod, and the oldest temple in town, Wat Chiang Man. 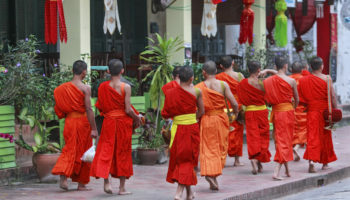 Chiang Mai is also famous for its markets and the Old City is no exception; the Sunday Walking Market is a huge affair, where roads are blocked off for an array of vendors – from crafts and trinkets to cute socks and baseball caps. It’s quite touristy, like certain areas of the Old City, but still fun. Staying in the Old City means a lot of options. Budget guesthouses are rife, as are very affordable boutique hotels, with most accommodation falling into the low-end to mid-range in terms of price. You can find a few luxury places to splurge your money on, too. When you need to have a bit of fun, head to the cluster of bars on the corner of Ratchapakhinai Road and Ratvithi Road. Rachamankha – Featuring classically Thai interiors, the rooms at Rachamankha boast high wood ceilings, terracotta tiled floors, and dark, solid wood furniture. Throughout the rest of this warmly decorated hotel, there are polished concrete floors, shady courtyards, and charming design features. In terms of amenities, this one boasts a scenic outdoor pool as well as an exquisite restaurant and spa – amongst other things. When it comes to location, this decidedly 5-star hotel is situated just 100 meters from the Sunday Market. Pingviman Hotel – The Pingviman Hotel is set in a beautifully opulent building with stunning interiors – think hardwood paneling and shining tessellating tiles. There’s a lush outdoor pool lined with tropical plants and palm trees, plus a pool bar and a stylish fitness center to keep up with your workouts. Onsite guests can try out local and regional cuisine at the Thai restaurant. The rooms at this 4-star offering are decorated with carved dark wood furniture, large beds, and touches of traditional Thai aesthetic. Tamarind Village – With hints of Lanna design, Tamarind Village is a minimal and modern affair. True to its name, this hotel is an elegant place to stay, surrounded by tamarind trees. You’ll find unfussy whitewashed rooms here, providing a calm place to unwind with their tiled floors and cooling, neutral color palettes. There are both indoor and outdoor restaurants at this hotel, a spa, and an outdoor pool to cool off in after a day of exploring Chiang Mai. From here, it’s a 10-minute walk to the Night Bazaar and the Ping River – and all the restaurants it offers along its banks. Wing Bed – Located close to religious and historical sites like Wat Chedi Luang and Wat Phra Singh, Wing Bed is a cozy and convenient place to stay in this easily walkable part of town. The rooms are fresh and modern, from the mix of tasteful wood paneling and wooden floors to the white linen and whitewashed walls. There’s a tasty buffet breakfast served up each morning in the hotel restaurant, which makes for a great way to start a day of discovering what Chiang Mai has to offer. Fashionable and fun, the cosmopolitan area of Nimmanhaemin has a lot more going for it than first meets the eye. It’s where to stay in Chiang Mai if you’re looking for a touch of style and some great places to eat. Located a couple of kilometers from the center of the city, you may not think that the district is a hub for style at first glance, but look past the traffic fumes and take a wander down the side streets that run between the squat buildings; you’ll come across boutique shops, trendy cafes, and a scattering of hairdressers and spas too. The small lanes – or sois as they’re called in Thai – are a warren for all sorts of interesting discoveries: great restaurants that buzz with diners, and boutique hotels that brim with upscale aesthetics. Staying in Nimmanhaemin will give you access to the more modern side of Chiang Mai, where the young and well-heeled can be seen socializing and enjoying their free time together. Further along Nimmanhaemin Road is the shiny new Maya Lifestyle Shopping Centre, where you can pick up pretty much anything – from cosmetics and clothes to food and electronics. There’s even a cinema and food court. The area also encapsulates the city’s university, with its young students adding a depth of interesting counterculture to the streets. And, of course, you have to take a trip to the electric Kad Ma Mor night market that sets up most nights in front of the university. Getting around is easy on foot, especially down the sois, and you can choose to stay at budget hostels which are small but polished, or mid-range hotels, as well as high-end stays with all the services of a luxury hotel. U Nimman Chiang Mai – Boasting a sizeable outdoor pool where guests can sunbathe with views of the surrounding mountains, this hotel also features amenities like a large sun terrace, sauna, well-equipped gym, and a chic restaurant and cocktail bar. Throughout, the boutique interiors and large guest rooms of U Nimman Chiang Mai are perfect for any style-conscious traveler; there are plush carpets, stylish seating areas and geometric themed tiles and wall art. In terms of location, this 5-star option is well suited for shopaholics; the Maya Lifestyle shopping center is just on the doorstep. Buri Siri Boutique Hotel – The minimal bedrooms in this hotel provide a relaxing environment with their whitewashed walls, simple tiled floors, and graceful wooden furniture. There are also historic artworks on the walls depicting a Thailand of the past. One of the best features of Buri Siri Boutique Hotel is the charming colonial style restaurant, complete with dark wood furniture and ceiling fans. Guests can also enjoy a cooling swim in the outdoor pool here and chill out in the landscaped tropical gardens. There’s a bus stop close by, which makes getting around Chiang Mai convenient. Sakulchai Place – Sakulchai Place is a simple, traditional hotel with spacious rooms featuring balconies, modern bathrooms, and shiny, tiled floors. There’s a hotel restaurant where guests can enjoy a mix of international and Thai cuisine throughout the day. You’ll also be able to soak up the heat of the day on a sun lounger around the hotel’s outdoor pool. 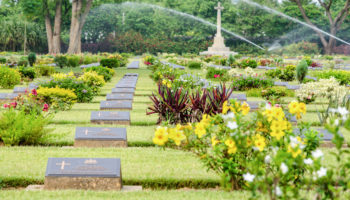 Well positioned to explore what the surrounding area has to offer, this 3-star option is near to the Kad Suan Kaew shopping center – but equally, the Old City is easily walkable, too. 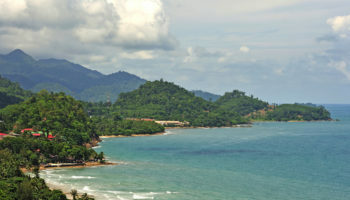 To the northeast of Nimmanhaemin is Santitham, referring to Santitham Road and its general surrounding streets. In recent years, it has experienced something of a boom; demolition teams have got to work, tearing down the old to make way for sparkly new shop houses and shiny condo-style buildings. Traditionally the red-light district of the city, this has declined with the recent renovation of the district. However, there are still many Thai-style bars and restaurants to be found here, where you can eat and drink cheaply. The surge in the development of this area has been a boon to Chiang Mai’s gay residents and expats, with many gay guesthouses, bars and even a karaoke place or two now adding to this area’s landscape. It’s also a great place for students to reside. The location (close to quite a few major universities), plus the cheap living costs make it a prime spot. 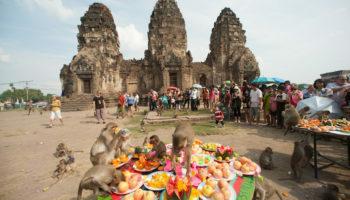 Accommodation here is almost all budget hotels and guesthouses, with a few mid-range, 3-star hotels to choose from, too. It’s a pretty small area to explore, so getting around on foot is fine – though the area doesn’t really have pavements or sidewalks. 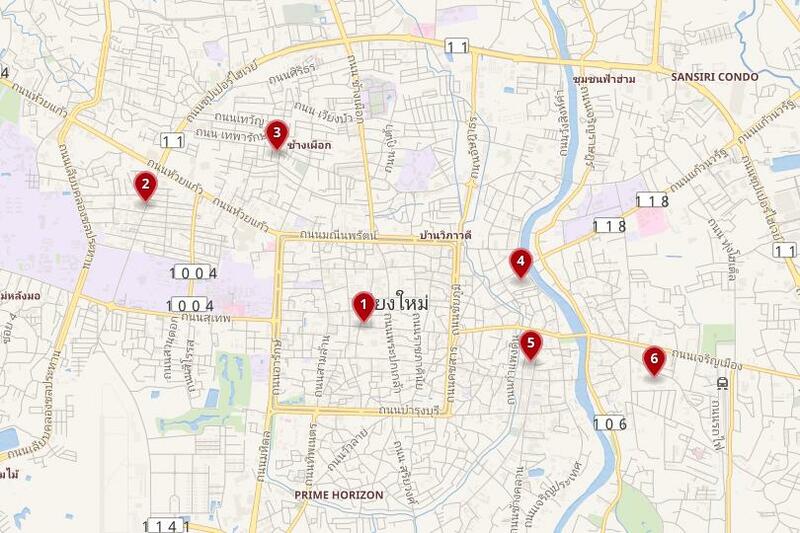 However, you may want to rent a motorbike if you want to get into the Old City or anywhere else around Chiang Mai. POR Santitham – A modern, urban style hotel with charming walkways that overlook the outdoor pool area and mountains, this affordable option is decidedly cool. Rooms here boast large beds and flat-screen TVs. They’re decked out in monochrome and are all about clean-cut straight lines and a sleek sense of design-led taste – all accented with good use of tropical plants. Just a kilometer from the Chang Puak Market, POR Santitham is within walking distance of Wat Lokmolee. Refined and genteel, the Riverside area displays to first-time visitors the traditions and charm of Thailand’s second city. The riverbank is alive, with locals enjoying great food in reasonably priced restaurants where live music is played almost nightly. This isn’t an area aimed at tourists, it’s an area to soak up the wonders of Thai life and enjoy the jovial atmosphere as local friends and families meet up to have a good time. Nestled along the banks of the Mae Ping, the city here is noticeably split in two; modern Thai life on one, and the old and traditional on the other. The right bank of the river is all about fishermen, food stalls and the Warorot Market – where you can pick up some bargain textiles – whilst the north bank is busy with boutiques, spas, and art galleries. A good place to stay in Chiang Mai for couples, as night falls, there’s a relaxed atmosphere as people stroll along the riverside looking for somewhere to eat dinner or simply soak up the views of the night sky reflected in the river. Hotels along the riverbank are a little more expensive than other parts of the city. If you want to get from Riverside to explore the rest of what Chiang Mai has to offer, the best thing to do is to hop in a tuk-tuk; it’s usually very inexpensive and will get you where you want to be quickly. Rustic River Boutique – As the name suggests, this 3-star hotel is a rustic choice. The rooms feature hardwood floors, wooden four-poster beds, and wood paneling, giving the feeling of staying in a traditional Thai home crossed with a colonial building. Throughout the hotel, there is antique furniture and Thai fabrics. There’s a breakfast served every morning, with a choice of options from local to international, after which guests can pedal off to explore the city on bikes. Nearby is the Ping riverside, with all its eating and drinking options, as well as the Nakornping Bridge. As you might be able to tell from its name, this area – situated between the east of the Old City and the Mae Ping river – is all about the Night Bazaar. In fact, it’s about many different markets. And shopping in them! Yes, this area is famous for its markets, but the eponymous Night Bazaar – operating from sunset to around midnight – stretches along one kilometer of Chang Khlan Road and is filled with pretty much everything, from (sometimes fake) designer clothing and street food to high tech gadgets and souvenirs. Just off this road is the Kalare Night Market, essentially a large undercover area with stalls that also operates as a massive food court. There are tons of options here, including Japanese, Chinese and Indian, amongst many others. Chang Khlan Road and the surrounding area also houses a lot of modern amenities like Starbucks and McDonald’s (Chiang Mai’s first one), amongst other Western-catering restaurants and bars; these include a few Irish, English and even Australian pubs. As such, it’s quite a touristy area. 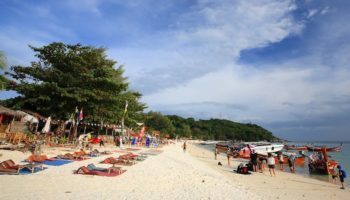 Because of this, there are many accommodation options in this area, including a few upmarket hotels, decently priced serviced apartments, as well as cheaper 2 and 3-star hotels and some guesthouses, too. There’s a little bit of everything for everyone – if you can stand the crowds. 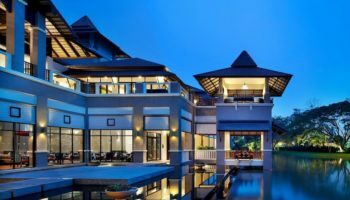 Le Meridien Chiang Mai – Le Meridien Chiang Mai is a chic, high-end stay in the city. The rooms are decorated in a neutral color palette and a sense of minimalism, with big beds, large windows and gleaming bathrooms accented with stylish sinks and rain showers. Guests can choose from a selection of suites available that add things such as seating areas and hot tubs. There’s a beautiful pool with views of Doi Suthep mountain, as well as a spa for relaxing after a busy day and four onsite restaurants. The Chiang Mai Night Bazaar is practically on the doorstep of this upscale hotel. Dusit Princess – The Dusit Princess is impressive as soon as you walk in; the lobby features a modern vaulted roof with unique chandeliers and golden lighting. Staying here means being able to enjoy spa treatments and poolside massages, as well as eating in the warm atmosphere of the hotel’s restaurant. The rooms are decorated in a combination of modern and Lanna influenced aesthetics and feature relaxed, Thai-style seating areas. Practically next door to the Chiang Mai Night Bazaar, this 4-star hotel is also close to Anusarn Night Market for all your shopping needs. Night Bazaar Inn – True to its name, this affordable option is situated very near to the Chiang Mai Night Bazaar. Also close by is the landmark Iron Bridge. The hotel itself is set in a charming, traditional style building with wooden, open-air walkways and breezy balconies overlooking the market. The rooms at Night Bazaar Inn are laid back and feature large beds, hardwood floors, and glass paneled bathrooms, all accented with soft lighting options. There’s a compact outdoor pool for guests to enjoy, as well as an onsite restaurant that serves fresh food daily. Situated on the east banks of the Mae Ping, the Wat Ket area is a local neighborhood that hums with riverside restaurants, cute shops, and a burgeoning hipster community. This historical area developed over time as enterprising locals moved in, as well as Chinese traders and foreign missionaries settling here, creating an eclectic district that can still be seen today. Small, quaint, wooden houses are now home to trendy coffee shops, art galleries, and boutiques that sell goods made by hill tribes. At the center of the area is Wat Ket Karam, a Buddhist temple dedicated to people born in the year of the dog, dating back to the 1400’s. The picturesque temple is surrounded by leafy grounds, and – as it doesn’t seem to be too popular with tourists – it’s the perfect spot to spend some time reflecting in the peace and quiet of it all. Wat Ket is less well-known to first-time visitors to the city, who usually base themselves around the Old City. As such, the streets still feel like they properly belong to the local communities. Modest and unassuming, Wat Ket offers an interesting mix of colorful nightlife and dining choices to go along with its good selection of mid-range hotels. There’s a scattering of stylish budget stays on offer in the area, as well as a handful of swanky and secluded high-end hotels. Rimping Village – A chic but laid-back place to stay, Rimping Village has a stylish outdoor pool area set in the shade of a banyan tree. There’s also a traditional style, open-air restaurant onsite, featuring tiled floors and vaulted ceilings. The rooms at this 4-star hotel are also traditional, yet simple and unfussy, with terracotta style floors and high ceilings. The relaxed, warm and welcoming atmosphere at this hotel is perfectly suited for a family stay. The Ping riverfront area isn’t far from Rimping Village, and Chiang Mai Night Bazaar is only a 10-minute walk away. Riverside House Hotel – The Riverside House Hotel is a modern place to stay that is, as you’d expect, situated right by the Ping River, which means plenty of sunset drinking and dining options on the doorstep. The Iron Bridge is also within walking distance. There’s a small, shady outdoor pool area, overlooked by a terrace dotted with tables, where guests can enjoy a selection of food from the hotel restaurant. The rooms here may be low-key but they’re stylish, with white tiles, large French doors, comfortable wood beds and touches of Lanna fabrics.